“Even Hell Has Two Bars” – Eliza and Henry spend the weekend at the Saperstein’s estate but with zero cell reception and a prospective promotion being dangled in front of them, both Henry and Eliza exhibit some questionable behavior, on “Selfie,” TUESDAY, NOVEMBER 4 (8:02-8:30 p.m., ET), on the ABC Television Network. Note: This episode replaces the episode “Never Block Cookies” which now airs on 11/11. 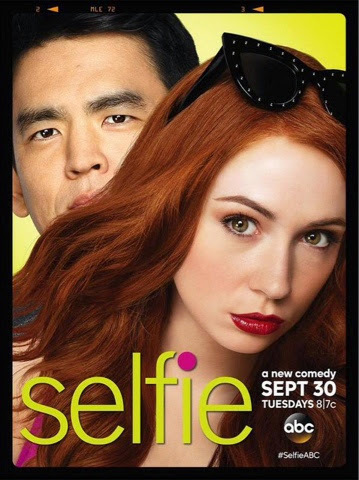 “Selfie” stars Karen Gillan as Eliza Dooley, John Cho as Henry Higgs, Da’Vine Joy Randolph as Charmonique Whitaker, Allyn Rachel as Bryn, and David Harewood as Sam Saperstein. “Even Hell Has Two Bars” was written by Mathew Harawitz and directed by Todd Holland. “Selfie” is executive produced by Emily Kapnek and is produced by Piece of Pie Productions in association with Warner Bros. Television.